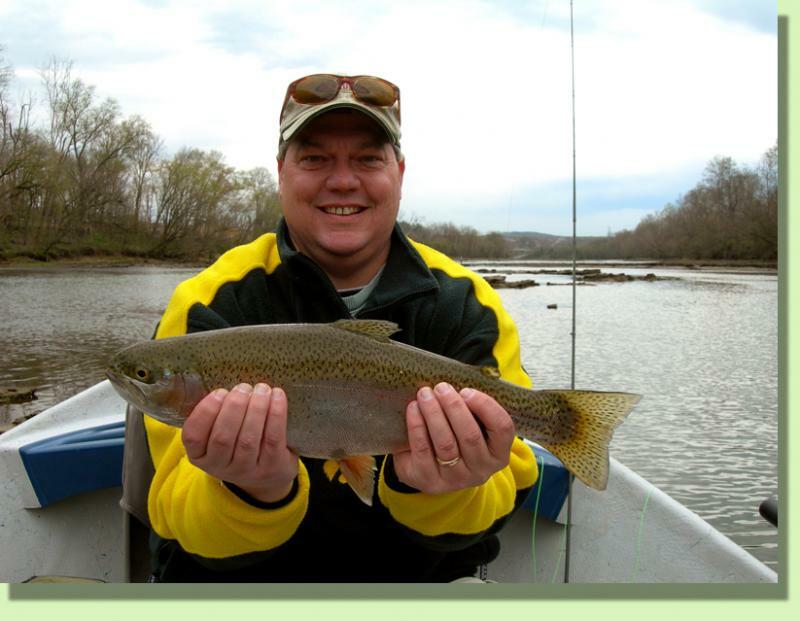 The Holston River boasts a great abundance of fat, healthy fish. They'll often take on a football shape and they fight with a vigor. Make sure to pack the camera on the driftboat because our east Tennessee fly fishing guides love the Holston River "Grip n Grins". Our clients have quickly made the Holston one of their favorite desintations. 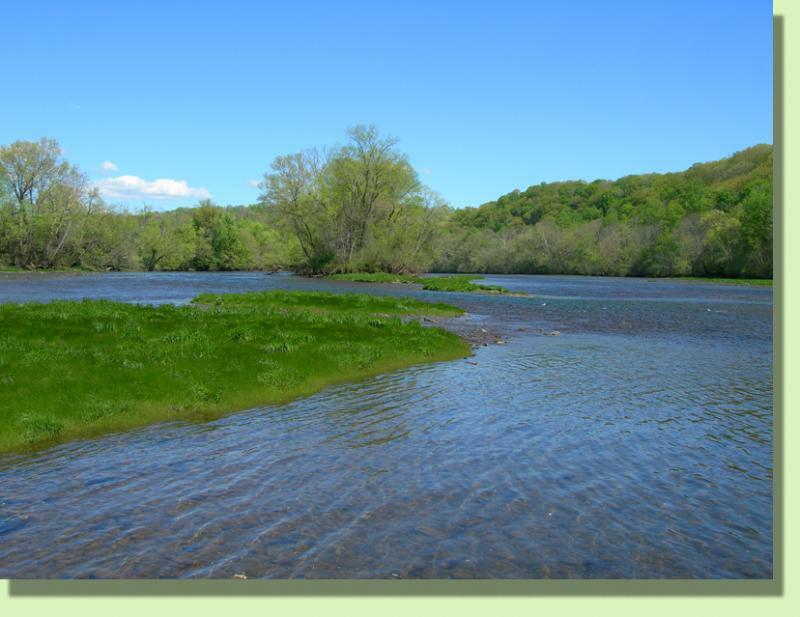 ﻿ Public land and access are very poor on the Holston. 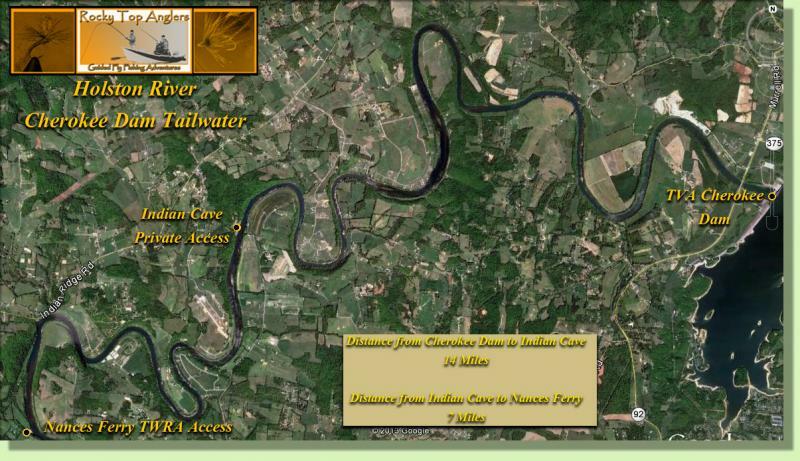 In fact, Only three public access points are available on the entire 21 mile tailwater. 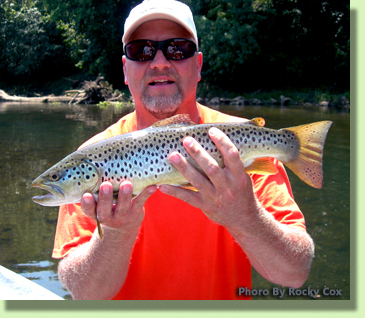 Luckily, that's just enough for our Holston River Guides to show off this great tailwater. 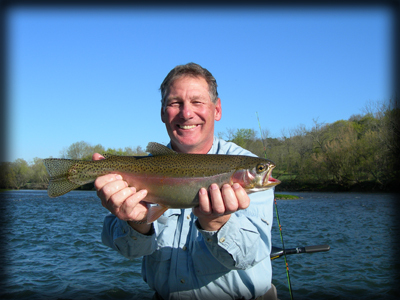 Prime season on the Holston runs from January to June, with April and May being the most requested. Several species of caddis emerge in the spring followed by a solid cranefly hatch that pushes well into July. Midges can be prolific year round and we also see sporadic mayflies from time to time. 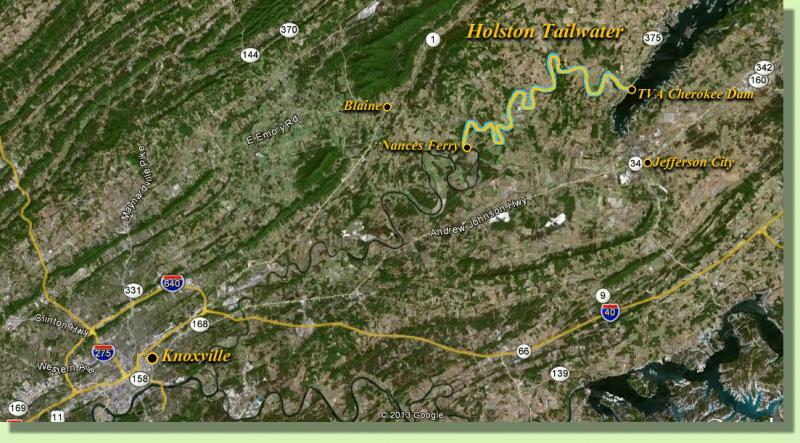 The Holston Tailwater is located about 30 minutes NE of Knoxville. Click bottom right for larger maps.